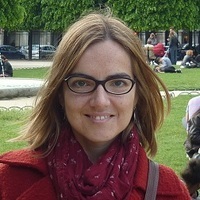 Aida Torres Pérez is Professor of Constitutional Law, Deputy Director of the Law Department, and Coordinator of the PhD Program in Law at Pompeu Fabra University (Barcelona). She holds and LL.M (2002) and a JSD (2006) from the Yale Law School. She has been a visiting scholar at the European University Institute (Florence 2009), the University of Trento (2011), the University of Maastricht (2012), the Max Planck Institute for Comparative Public Law and International Law (Heidelberg 2013, 2015), and the The Danish National Research Foundation’s Centre of Excellence for International Courts, iCourts (Copenhagen 2014). Her research interests include European constitutionalism, judicial dialogue, the interpretation and protection of fundamental rights in Europe, EU citizenship, and judicial independence.